People are often surprise to hear when I confess that I have not yet attended any concert in my 30-odd years on Earth. Imagine my surprise to find out that actress Zhao LiYing was on the same boat as me until last Saturday. 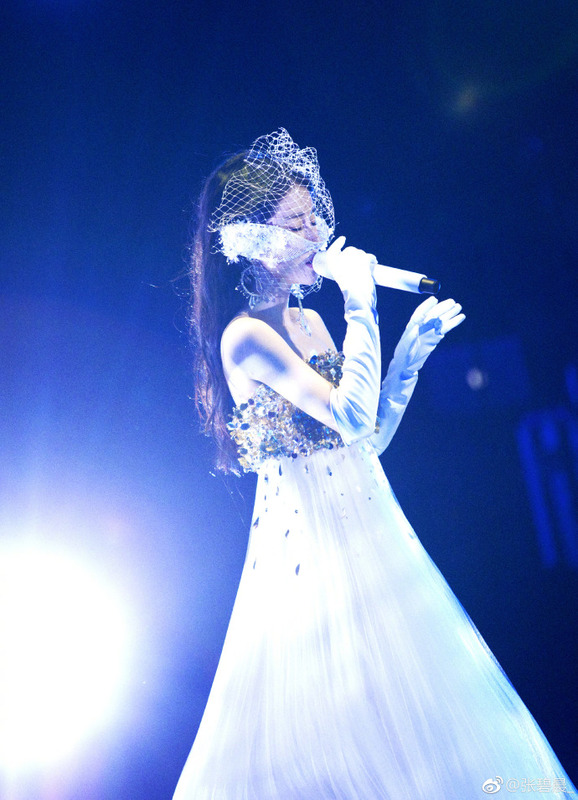 She took to her Weibo account to share her first concert-going experience. The video clip she shared was of Zhang Bichen's concert where she sang, Wang, the opening song for her own drama, Princess Agents. From what I know, she has two dramas (Our Glamorous Time and The Story of Minglan) coming out this year but there's no news of any new projects lately. I guess she's taking a break to recharge. She's been quite active in posting several photos of her in Weibo doing relative normal things that you and I might do in our free time.